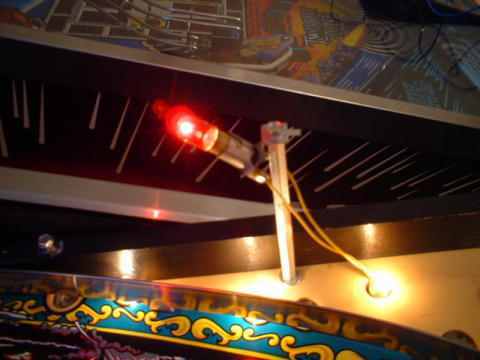 This modification was developed by Ivan Durneen and posted to the Yahoo group ukpinball. Full credit goes to him for developing this mod. A view of the game before the mod. 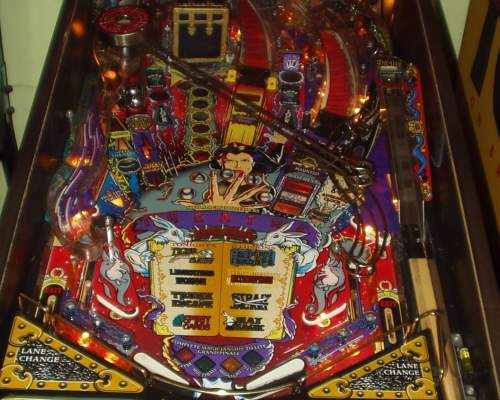 The center of the playfield is rather dark on the right side. 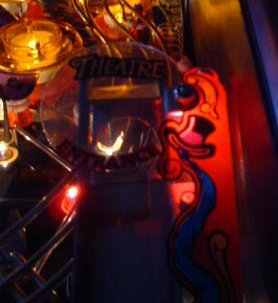 Theatre of Magic is a great looking pinball machine. 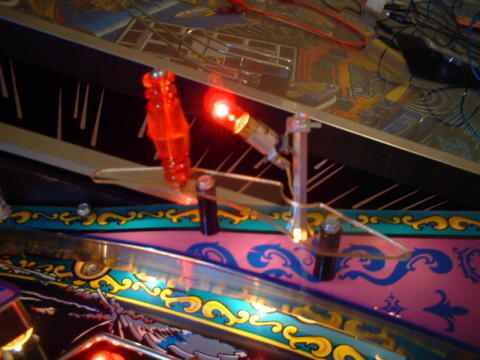 But if you play it in the dark, you'll notice the right side of the playfield, and especially the skillshot ramp, is pretty dark. So to brighten things up a bit you can add an extra lightbulb on the post that holds the ramp. This will light up the plastic mounted on the ramp. Here's the extra light bulb shown. It's attached to the metal post that holds the ramp. Power is drawn from another lightbulb. The extra lamp with the plastic parts put back on the game. Here you see how the plastic is nicely lit at the end of the ramp. It's magic !